A few years ago, I made a Shalem pilgrimage to the Isle of Iona, off the western coast of Scotland. I was drawn to experience, what in Celtic spirituality, is called a “thin place” – a place where heaven and earth seem to touch. 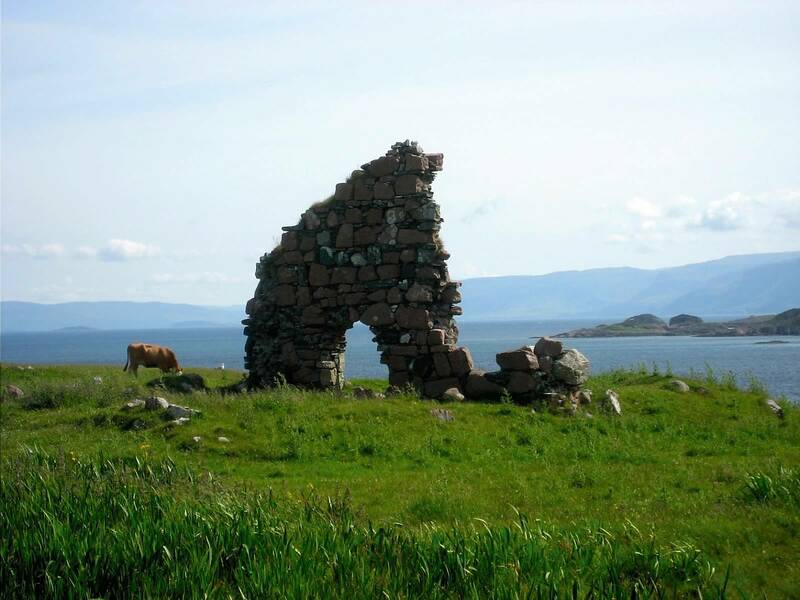 It was an awakening for me of the divine presence in the raw beauty of nature on Iona, and in the sacred presence of the deep spiritual community there. There was no question in my mind that this place was one of those unique places that can open one’s heart to what is. The moments in my memory of those “thin place” encounters still resonate within my spirit. Not too long ago, I attended the ordination of a friend and found my heart touched as I heard the preacher speak of the burning bush that Moses saw in that “thin place” the Holy One had called him to. The preacher went on to say that there are burning bushes (and thin places) all around us, all the time, if only we would look and see. I live in a rural area of upstate New York. And while, it is a beautiful area, I never thought of it like I thought about those “official” thin places of my pilgrimages. It’s been a gift, a grace, to be made aware that I need not travel far to be close to Divine Presence… that there are burning bushes… thin places… moments of deep presence in this place, in this community, within myself. In other words, it’s all thin! For me, one of the things that has been a block to seeing the deep reality of Presence in the thin places around me is the lack of wonder I have for the familiar. It’s as if I dismiss the ordinary, the immediately present, for some experience somewhere else, at another time. I am so easily distracted and attracted by the new and the unfamiliar. Still, the good news is that just because I may not be paying attention, Presence is always there. For that I am extremely grateful. Are there any “thin places” that have a particular meaning for you? Any blocks you notice to seeing the burning bushes or thin places around you? Categories: Contemplative Living, Contemplative Spirituality, Continuous Prayer, Spiritual Deepening, and spiritual growth. Tags: contemplation, Inspiration, prayer, spiritual growth, spiritual practice, and spirituality. Anywhere out in nature, where I not only see the beauty of creation, but I am struck, again and again, by the sense of being held by something larger than myself. Hey Al–glad I read the whole piece. My wife and I greet extraordinary beauty every day outside our windows but it would be arrogant of us to accept as sacred only those places which fulfill our visual criteria; to equate pretty with holy. The 149th st subway station or a truck stop on I80 in the midwest can be a “thin place” if we line ourselves up correctly so as to be able to perceive. Sometimes being with young children opens a thin place for me – they seem to live so close to the border! And, as someone said above, being with the dying. I am drawn to the sacred in that space. Always thin at my farm in New Hampshire, where the family roots go deep and the evergreens grow tall and the air smells like rich pine humus. And, of course, Yosemite. Thanks for the post. I hope to go to Iona some day.